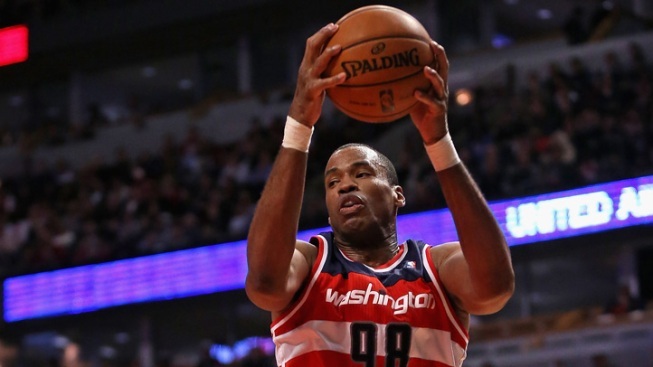 Jason Collins #98 of the Washington Wizards rebounds against the Chicago Bulls at the United Center on April 17, 2013. Veteran NBA basketball star Jason Collins has come out as the first openly gay athlete playing in a major American team sport. The Stanford graduate shared his story in an essay for Sports Illustrated's upcoming May issue. "I'm a 34-year-old NBA center. I'm black. And I'm gay," Collins says in the opening of the piece he co-wrote with Franz Lidz. He continued: "I didn't set out to be the first openly gay athlete playing in a major American team sport. But since I am, I'm happy to start the conversation. I wish I wasn't the kid in the classroom raising his hand and saying, 'I'm different.' If I had my way, someone else would have already done this. Nobody has, which is why I'm raising my hand." Collins has played for six NBA teams in 12 seasons, including the Boston Celtics, Minnesota Timberwolves, New Jersey Nets, Atlanta Hawks, and Memphis Grizzlies. He played for the Washington Wizards this past season. He's now a free agent looking to sign on with a team for next season. In a statement, NBA Commissioner David Stern talked about how he has known the Collins family for more than a decade and how the organization is supportive of Jason Collins. "Jason has been a widely respected player and teammate throughout his career," Stern said. "And we are proud he has assumed the leadership mantle on this very important issue." 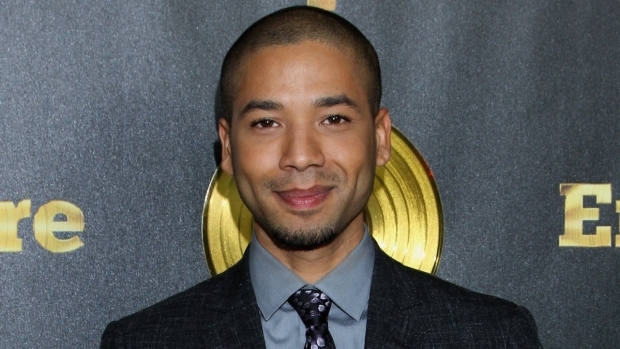 According to the article, the first relative he came out to was his aunt Teri Jackson, a superior court judge in San Francisco. "I've known you were gay for years," she said. From that moment on, Collins said, he was comfortable in his own skin. Former President Bill Clinton issued a statement after the Collins article was published. He said he has known Collins since he was his daughter Chelsea's classmate and friend at Stanford. "Jason's announcement today is an important moment for professional sports and in the history of the LGBT community," the former president said in the statement. Chelsea Clinton also wrote a statement on her Facebook page saying she was "very proud" of her friend "for having the strength and courage to become the first openly gay athlete in the NBA." "His decision marks an important moment for professional sports and for our country," she added. "I echo what my father said in his statement and similarly hope that everyone, particularly Jason's colleagues in the NBA, the media and his many fans extend to him their support and the respect he has earned." Kennedy added: "Without question or hesitation, he gives everything he's got to those of us lucky enough to be in his life. I'm proud to stand with him today and proud to call him a friend." The pro-gay rights group, Human Rights Campaign, also chimed in, saying Collins has done wonderful things in "becoming a role model for youth." Collins is certainly not the first gay athlete. But what sets him apart is that other athletes that have come out as gay have either been former players or women. That includes Kwame Harris, a retired San Francisco 49er and Oakland Raider who came out this spring and Brittney Griner, a lesbian pro women's basketball player. Coming out, especially for major league athletes, has been almost nonexistent. In April, USA Today's headline was "Leagues Prepare for Day When Gay Athlete Comes Out." The National Hockey League took a step this month by announcing a formal partnership with You Can Play, an advocacy group dedicated to ensuring equality and respect for all athletes regardless of sexual orientation. Other leagues are also taking steps. The NFL's, NBA's and MLB's collective bargaining agreements ban discrimination based on sexual orientation. NFL spokesman Greg Aiello told USA Today the league's rookie symposiums will include sessions on inclusion and tolerance. He also said NFL senior vice president of player engagement met with organizations representing the LGBT community, including You Can Play, as part of ongoing dialogue. Should an NFL player or players come out, "Our league and team security people would be ready to monitor any kind of public reaction that might not be appropriate, including scrubbing social media" for potential threats, Aiello told USA Today. "We would assist the player in dealing with any adverse public reaction of any type, if there is any. Hopefully there wouldn't be and it would be a non-issue, which it should be." Cyd Zeigler Jr., co-founder of the website Outsports, said Collins' move was a watershed event, one that could encourage other closeted gay athletes to come out of the closet. That's not only because those athletes have a new leader, Zeigler said, but because America has become much more welcoming of homosexuals. Anticipation of an active American professional team-sport athlete coming out has been building for years, so Collins' announcement won't be as shocking as, say, when retired NFL running back David Kopay in 1975 became the first former team-sport athlete to publicly acknowledge his homosexuality. It took many years for someone else to feel comfortable enough to become the second. This time, players, fans and the media would embrace Collins, and make it more likely for others to follow him, Zeigler predicted. "That reaction will empower (other) people to (come out) more quickly," Zeigler said. Polls show that Americans, including its politicians, are more comfortable with gay marriage, and in other countries, active gay team athletes have already come out of the closet. That includes English rugby player Gareth Thomas, Australian rugby player Ian Roberts and English footballer Justin Fashanu, who ended up committing suicide. Collins "has come out at an interesting historic time," said Eric Anderson, an American sociologist who studies homosexuality in sport at the University of Winchester in the United Kingdom. "We are riding a wave of acceptability." Anderson argued that the reaction to Collins' announcement will be noteworthy in that many people, especially those under 30, will just shrug. "For a decade we thought it was going to be this ginormous big deal, but we've had so many pro-gay professional athletes making pro-gay statements that it's kind of not a big deal anymore," Anderson said. "This is a profound cultural moment, but for the youth, they're going to think, 'Yeah, so what?'" But Anderson also warned against assuming Collins' coming out would spark a flood of similar announcements. "Don't underestimate the power of the closet," he said. "It can be a pretty deep place."